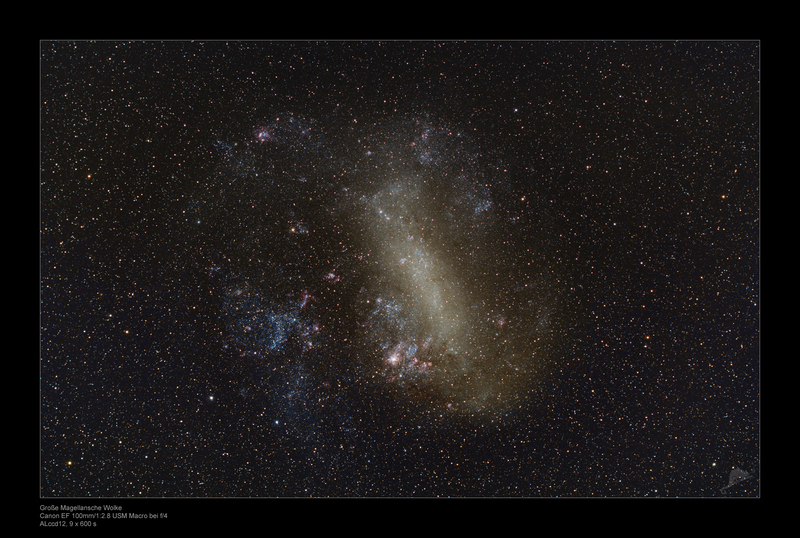 The Large Magellanic Cloud (LMC) is visible as a nebulous spot next to the Milky Way in the Southern Sky even to the naked eye. 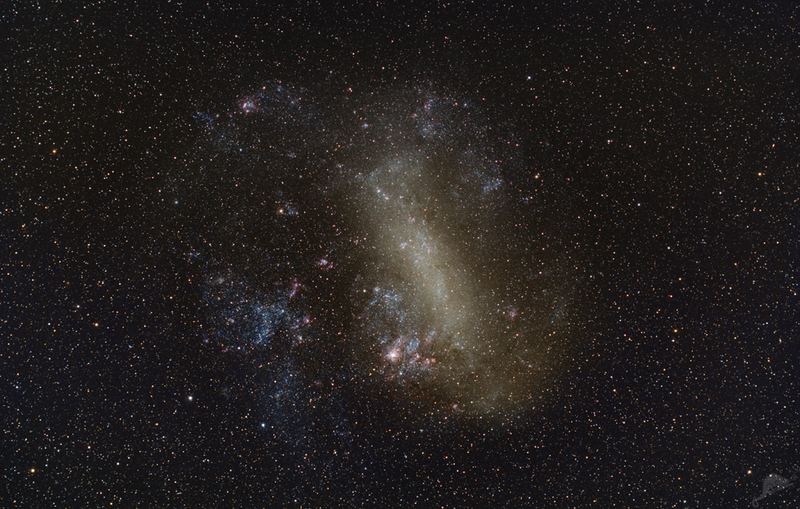 Together with the Small Magellanic Cloud it forms a prominent couple in the Southern Celestial Hemisphere. 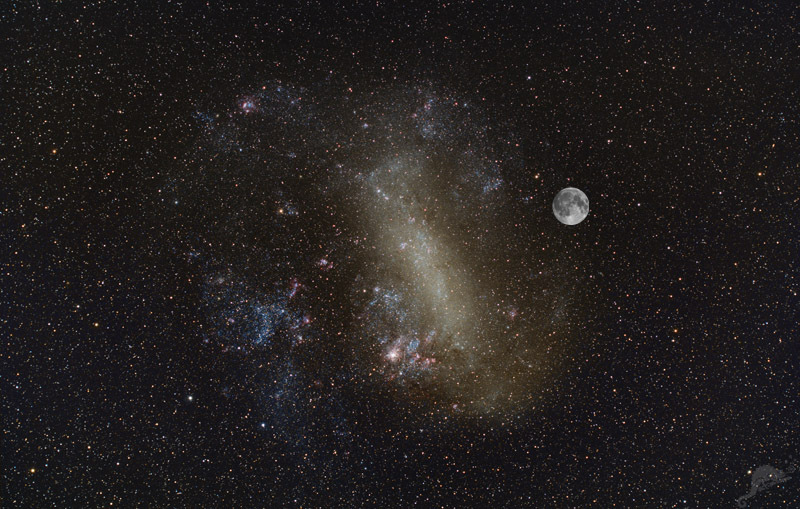 LMC's distance is about 170 000 light years. Due to the relatively short distance one can see a number of single stars, star clusters and nebulae in the irregularly shaped companion of our Milky Way. It contains ca. 15 billion single stars. Ferdinand Magellan was the first European to describe the Magellanic Clouds during his round the world sailing tour in 1519. 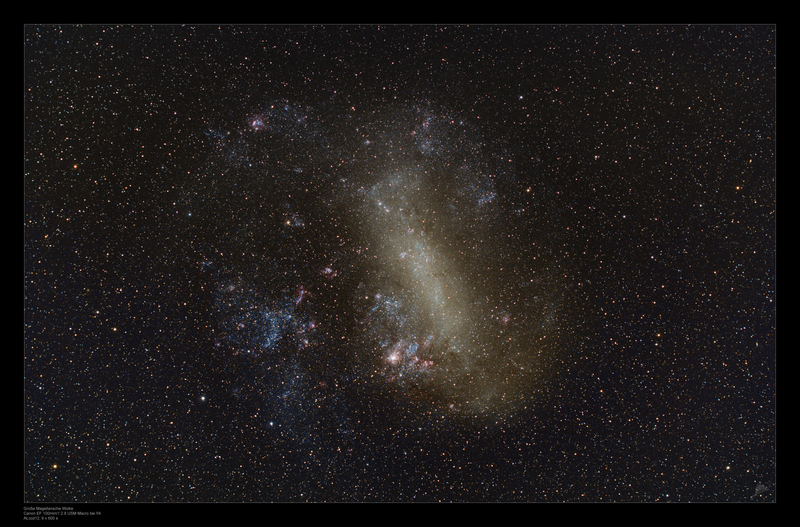 Detailed information about the Magellanic Clouds can be found online at Wikipedia. Wikipedia. The preview above shows the comparison with the size of the full moon. Please click here or onto the preview image to get a high-res version.